Here are some recommended resources to help parents become better acquainted with Classical Christian Education. The Lost Tools of Learning by Dorothy Sayers. This article, originally presented in 1947, is the place to start and can be read online. It describes many problems with modern educational approaches and reintroduces the classical approach to learning from the Christian worldview. 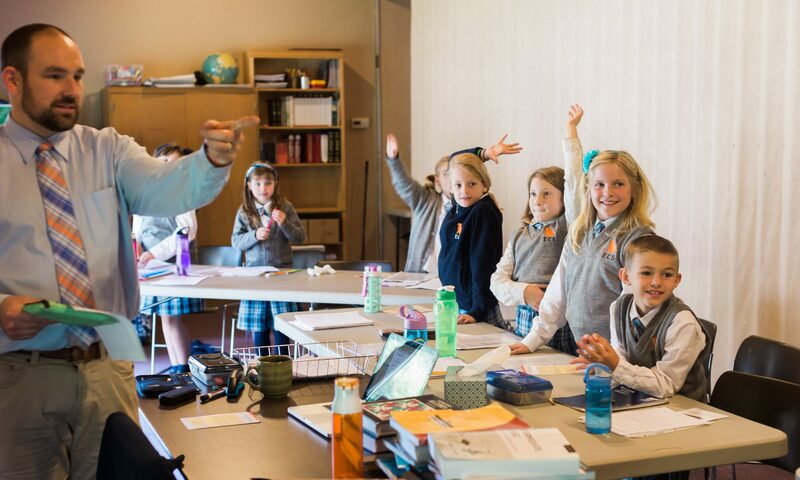 Classical and Christian Education: Recapturing the Educational Approach by Gregg Strawbridge. This booklet is a concise and compelling explanation of what classical and Christian involves and—perhaps more importantly—why. Because it is very economically priced, it is a great resource for those who desire to put something in the hands of friends or family who may be wondering about the classical and Christian approach. Recovering the Lost Tools of Learning by Doug Wilson. This book develops Sayers arguments from a parental and pastoral perspective more than forty years later. It also includes Sayers article as an appendix. The Case for Classical Christian Education also by Doug Wilson. In some ways it’s better than The Lost Tools of Learning. Both are necessary reads, but this one ups the rhetorical presentation and offers Wilson’s perspective 20 years after starting Logos School. This resource is also available as an audio book. In this video (less than two minutes long), Doug Wilson draws a straight line between those who recognize God’s sovereignty over all things and classical education. The Seven Laws of Teaching by John Milton Gregory. A brief, mostly common sensical, yet clear and convicting manual for teachers. Originally written for a Sunday school setting, Gregory’s “laws” apply to anyone who loves his subject of study, loves his students, and wants to love the subject into his students. Christianity, Education and the State by J. Gresham Machen. Our young people won’t learn how to think unless they learn things to think about. Also, education is not the responsibility of the federal government but of every family. The Association of Classical and Christian Schools website is full of explanations and helps. Note, in particular, their one page summary of classical christian education and the page of suggested steps for starting a school. There are also many (brief) online articles at Epistula, the newsletter of Veritas Press (a classical Christian curriculum provider), as well as audio and video from previous ACCS conferences.